The contemporary war literature genre, a decade or so old, now sees the welcome appearance of second titles by authors whose first books helped create the genre. This year, for example, brings the release of You Know When the Men Are Gone author Siobhan Fallon’s novel The Confusion of Languages, Elliot Ackerman’s novel Dark at the Crossing, his follow-up to Green on Blue, and Elyse Fenton’s Sweet Insurgent, her second volume of poetry following Clamor. Though none of the works directly concern war in Iraq and Afghanistan, they are of interest to this blog for what they tell of the growth of their authors as writers, as well as the direction of their thoughts, formed by war and now exploring new themes and subjects, or, more accurately, variations on old ones: the human cost of America’s endless warfaring. 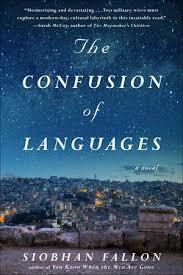 Fallon’s The Confusion of Languages takes place in Jordan in 2011 against the backdrop of the Arab Spring rebellions spreading across the Middle East. Its primary narrator is Cassandra “Cass” Hugo, the wife of a mid-ranks US Army foreign service officer named Dan. Cass and Dan are not as happy as they might be, unwanted childlessness having withered their love and Dan, consumed by his job, working long hours. Cass finds herself bored and uneasy, nominally a dutiful military spouse interested in keeping up appearances, but a little more susceptible to intrigue and drama than she realizes. Into the lives of Dan and Cass come Creighton “Crick” Brickshaw, another Army officer, and his wife Margaret, along with their baby son Mather. Dan and Cass are Crick and Margaret’s sponsors, and while Dan and Crick bond easily enough, as officers on deployment generally do, Margaret and Cass circle each other tentatively, separated by disposition and outlook. Cass is conscientious and meticulous and Margaret thoughtless and sloppy, but both are sensitive to the point of skittishness, and their dependence on their mostly-absent husbands for love, lifestyle, and security makes them extremely vulnerable. Acting out their impulses against the backdrop of a culture and people they little understand, each makes major mistakes. The catalyst for the novel’s plot is a car accident, not a big mishap as things go, but one here with awful consequences. When Margaret departs for the police station to file a report, Cass volunteers to watch Mather. Alone with Mather for hours, Cass finds Margaret’s journal, which she begins reading, though she knows she shouldn’t. In a second narration revealed by the diary, Cass learns of a hidden life full of disturbing events that now helps account for Margaret’s failure to return. Ackerman’s Dark at the Crossing portrays an Iraqi-American protagonist named Haris who travels to Syria to fight against the repressive government of President Bashar al-Assad. Haris has fought alongside Americans in Iraq, but troubled by the experience and finding life in America unsatisfying, he yearns for redemption and purpose. Most of the novel takes place not in Syria, though, but in and around the southern Turkey town of Antep, as Haris finds crossing the closed border between the two countries no easy task. Adventures and mysteries quickly accumulate; as an Arab and Muslim, Haris possesses advantages the all-American characters in The Confusion of Languages lack, but he too has been softened by American life, and subsequently finds himself constantly outmatched by the complex and damaged Turks and Syrians he encounters. The advisor team chief I replaced in Afghanistan in 2008 told me that Afghans were rational decision-makers, as long as you understood that their families had already suffered much violence and early death, they were aware that they themselves might be killed any moment, and they were perpetually worried about their families’ financial prosperity in the event of their sudden death. That proved good advice during my year in Afghanistan, and some of that same insecurity underlies the portraits of Syrians, Turks, and Iraqis in Dark at the Crossing. American characters, a Special Forces officer with whom Haris fought in Iraq and thinks about often and an NGO Haris meets in Antep, seem slow in comparison: much like Fallon’s Dan and Crick, if not exactly blustering oafs, they are over-confident and about as self-aware as bricks, whatever claims to professional competence they might project. Ackerman’s tone is dark and ominous, in the manner of Graham Greene, and so it seems only a matter of time before things go bad for Haris, which they do, by turns worse-and-worse in ever-more surprising plot twists. Things don’t end well for Fallon’s characters, either, though their chin-up and chirpy tones, as conveyed by the novel’s dual narrations, masks the catastrophe, put into play by their naivety, that awaits them–while Haris seems to know things are bound to end badly, the two young American women in Fallon’s novel have trouble imagining anything really terrible can befall them. Both stories interest through their portrayal of adults, rather than the post-adolescents who populate most contemporary war literature, and both authors tap an ages-old theme, now truer than ever, regarding Americans abroad: their delusions and essential immaturity poorly equips them to understand the complexities of a region ravaged by recent conflict on top of the thousands of years of near-continuous strife that preceded it. one good ear bent & ticking in the dirt. of plenty drawn between the spanse of scrub and road. buckshot or a broken neck. But first they’ll eat their fill. The tone is terse, fragmented, and haunted; Fenton, I believe, distrusts sensational images (as well as clichéd ones) and thus fights to bring into being a new survivalist rhetoric adequate to life during perpetual wartime. When words such as courage and community are exhausted, she implies, concepts such as love and family are imperiled, too. 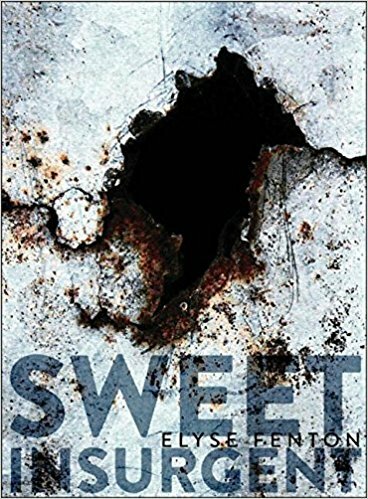 The last poem in Sweet Insurgent is titled “Independence Day,” and it’s not a celebration; Ackerman’s, Fallon’s, and Fenton’s excellent books each dramatize deeply-seated concern connected to the downward spiral of America’s frazzled empire. Reverberating through the three works in varying pitches, dawning on the reader with the force of epiphany, is the realization that Americans are having a lot of trouble dealing with problems that being an American has brought on. 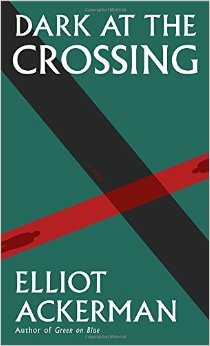 Elliot Ackerman, Dark at the Crossing. Knopf, 2017. Siobhan Fallon, The Confusion of Languages. GP Putnam’s Sons, forthcoming in June, 2017. Elyse Fenton, Sweet Insurgent. Saturnalia Books, 2017. This entry was posted on April 2, 2017 at 6:45 pm and is filed under Art and War. You can subscribe via RSS 2.0 feed to this post's comments. Thanks, Andria–there’s so much more to be said about the three books, individually and collectively. Each, for instance, offers extended complex portraits of mothers and their children–not a subject exactly in my wheelhouse as a critic, but one definitely in yours, should you choose to look at them in the Military Spouse Book Review.